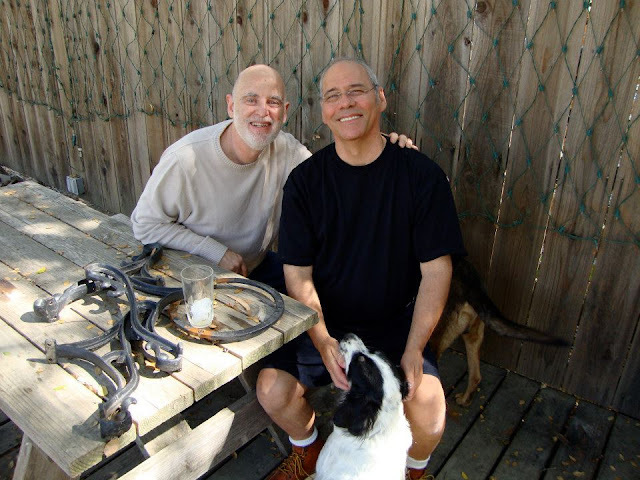 Let's look, ponder, and analyze their "forums, themes, and thinkers" series as well as their peace, culture, and education videos in light of Nichiren Daishonin's Buddhism. Can we find one mention of Namu Myoho renge kyo, Gohonzon, or Kaiden? Can we find one instance of remonstrance of Christianity, Provisional Buddhism, Hinduism, Islam, or Judiasm? Can we find one mention of the Lotus Sutra and Nichiren Daishonin in the millions of words written and spoken? "...Outwardly they will seem to be wise and good, but within they will harbor greed and jealousy. [And when they are asked to preach the teachings, they will say nothing,] like Brahmans who have taken a vow of silence. They are not true monks—they merely have the appearance of monks. Consumed by their erroneous views, they slander the correct teaching. When we look at the world in the light of these passages of scripture, we see that the situation is just as they describe it. If we do not admonish the evil priests, how can we hope to do good?" Is SGI "family revolution" the dissolution of marriage or was it their incorrect faith, weak practice, failure to follow mentor's guidance, or moral turpitude? Seems like it was moral turpitude if we are to believe Justin Bieber. Either way, the bottom line is, there is no actual proof in the Ikeda faith. SGIQuarterly: In the struggle against apartheid, how did you maintain hope in the face of such daunting circumstances? How can people regain and maintain a sense of hope in the face of complex global problems today? Bishop Desmond Tutu: I believed then as I still do that this is God's world and that God is in charge; that this is a moral universe and that ultimately goodness, right and justice will prevail over their ghastly counterparts. And I knew too that many were upholding us with their fervent prayers, and we owe a great deal to all those who were part of the international antiapartheid movement. Yes, it is not easy, but they should hang on to the belief that right will eventually triumph. SGIQ: As an individual who has long been on the forefront of the struggle for human rights, what is your message to the youth of a new generation confronting their own struggles to build a world in which the dignity of all is recognized and respected? DT: I admire young people. They are amazing in their idealism believing that we can have a world without war, without poverty and disease. I say to them, "Dream your dreams of a better world, dream the dream of God!" Among my disciples those whose faith is shallow will show at the moment of death the sign of falling into the Hell of Incessant Suffering. "Aside from these people, some of my disciples might not be spared from this calamity of falling into the Hell of Incessant Suffering upon death. Those who disdained and hurt the Never -Despising (Fukyo) Bodhisattva fell into the Hell of Incessant Suffering upon death for as long as 1,000 kalpa. It was due to their great sin of slandering the bodhisattva that they were paid such a hard fate, although they had believed in, respected, followed, and obeyed the bodhisattva while in this life. Now, the same could be said of disciples of Nichiren. If they believe in, respect, follow, and obey me in name only without heart, they will no doubt suffer in the Hell of Incessant Suffering for the period of one, two, ten, or one hundred, if not one thousand, kalpa. If you wish to be saved from this, you should each practice just as the Medicine-King Bodhisattva did; he set his arm afire to offer it as a light to the Buddha; or Gyobo Bonji, who skinned himself to write the dharma on his own skin. Just as Sessen Doji and Suzu Danno did, you should sacrifice your own life or serve your masters from the bottom of your heart in search of the dharma. Otherwise, you should beseech the Buddha for help, bowing to Him with your four limbs and face touching the ground, dripping with sweat. Otherwise, you should pile up rare treasures in front of the Buddha as an offering to Him. If that is not possible, you must become servants to the upholders of the dharma. Or you should practice some other ways according to the principle of the four ways of teaching. Among my disciples those whose faith is shallow will show at the moment of death the sign of falling into the Hell of Incessant Suffering. Do not blame me for it then!" The addressee of this letter is Oto Gozen, but in reality it is believed to have been written to her mother, Nun Nichimyo. When the nun took her daughter, Oto Gozen, to Sado to see Nichiren Daishonin in exile in the 5th month of the 9th year in the Bun'ei Era (1272), her daughter was still an infant. It is assumed, therefore, that she was still a child when this letter was written three years later, in the first year of the Kenji Era (1275). Judging from a statement in this letter, "I would imagine Oto Gozen has become matured and wise," it is only natural to assume that it was addressed to her mother. Commending Nun Nichimyo, who had visited Nichiren on Sado Island earlier all the way from Kamakura, for coming to see him again on Mt. Minobu, Nichiren Daishonin explained the comparative superiority between Mahayana and Hinayana sutras and provisional and true sutras, comparing them with small and large ships and rocks and gold. the Successive Presidents of the Soka Gakkai. to be spread in the Latter Day. let alone the Essential Section. that those who abandon Shakyamuni will fall into the Avici hell. 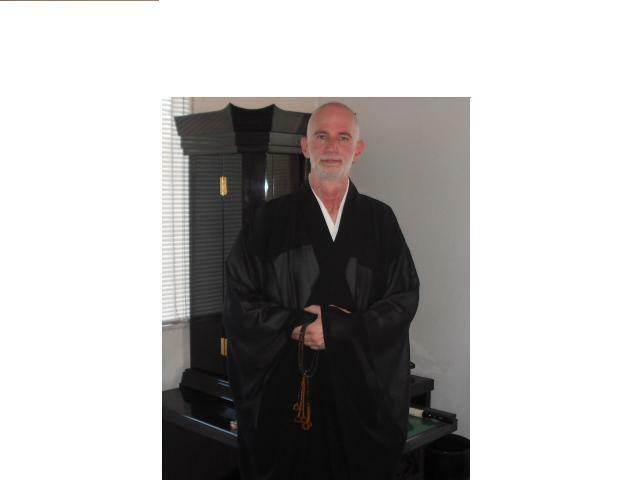 Nichikan Gohonzon breeds evil men. experience misfortune (page280, The Bible of Shakubuku). obtain neither merit nor virtue. believers who embrace the Lotus Sutra and Shakyamuni Buddha? children who have deformities, mental retardation or madness." SGI newbie. She told me they are requesting that she pass the SGI beginners exam before they would give her Gohonzon. I told her that taking an exam, especially an exam tangential to True Buddhism [one based on Ikedaism], was not the criteria that Nichiren used in bestowing Gohonzon. I told her to chant morning and evening, keep a clean altar, read the Lotus Sutra, read the writings of Nichiren, and come to my home to chant with me and I would bestow upon her a copy of a Nichiren Gohonzon rather than an SGI knockoff. "During the entire fifty years of Shakyamuni’s teaching, only in the last eight years did he preach the twenty- eight chapters of the Lotus Sutra. Again, of all these chapters, only in the eight chapters did he reveal and transfer the object of devotion to the Bodhisattvas of the Earth. During the two millennia of the Former and Middle Days of the Law, statues were made showing Mahakashyapa and Ananda flanking the Shakyamuni Buddha of Hinayana, and Manjushri and Universal Worthy flanking the Shakyamuni Buddha of the provisional Mahayana, the Nirvana Sutra, and the theoretical teaching of the Lotus Sutra. "I, Nichiren, am the foremost Practitioner of the Lotus Sutra in Japan. If among Nichiren's disciples and lay donors you come later than me, Nichiren, then even before the God Brahman, the Emperor Shakra, the Four Celestial Kings or the Emperor Emma (Yama) declare, 'I am the disciple or believer of the foremost Practitioner of the Lotus Sutra in Japan, the priest Nichiren,' and you shall pass. SGI's intent is to supplant Shakyamuni Buddha and Nichiren Daishonin with Daisaku Ikeda. Please be without anxiety. 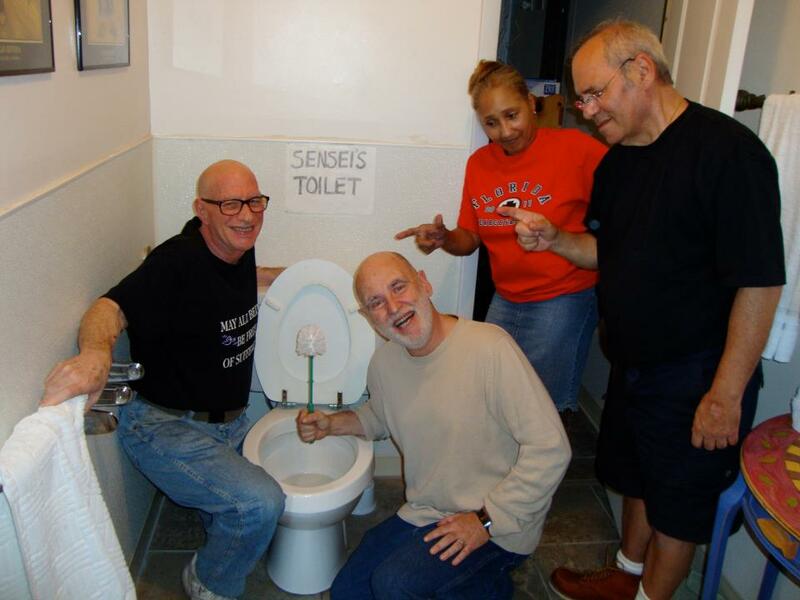 You may obtain a copy of a Nichiren inscribed Gohonzon without feelings of trepidation or guilt. "The Buddha stated that, in the latter age, monks and nuns with the hearts of dogs would be as numerous as the sands of the Ganges. By this he meant that the priests and nuns of that day would be attached to fame and fortune. Because they wear robes and surplices, they look like ordinary priests and nuns. But in their hearts they wield a sword of distorted views, hastening here and there among their patrons and filling them with countless lies so as to keep them away from other priests or nuns. Thus they strive to keep their patrons to themselves and prevent other priests or nuns from coming near them, like a dog who goes to a house to be fed, but growls and springs to attack the moment another dog approaches. Each and every one of these priests and nuns is certain to fall into the evil paths." SGI would rather not participate in our dialogue or any real dialogue on the internet. We are open to a spirited dialogue with them and all others. SGI's blogs and "forums" are either inactive or strictly moderated. That is not dialogue. This forum, for the most part, is not moderated. So have your say! As a self proclaimed Bodhisattva of the Earth, I endorse and recognise you as a Bodhisattva of the Earth and True follower of Nichiren's Buddhism. Like others, my faith has taken me on a journey and I have learned to part company with those I believe do not have the correct faith and to align myself, in spirit, with those that I believe do. When I first started invoking the Dai Moku, I had spiritual and out of body experiences that taught me the correct faith (not shared or understood by those around me in SGI/NichirenShoshu)and not the words of others. Shakyamuni Buddha came to me twice, amongst other experiences and I learnt that telling others did not work as they reinterpreted my experiences to suit their wrong views. 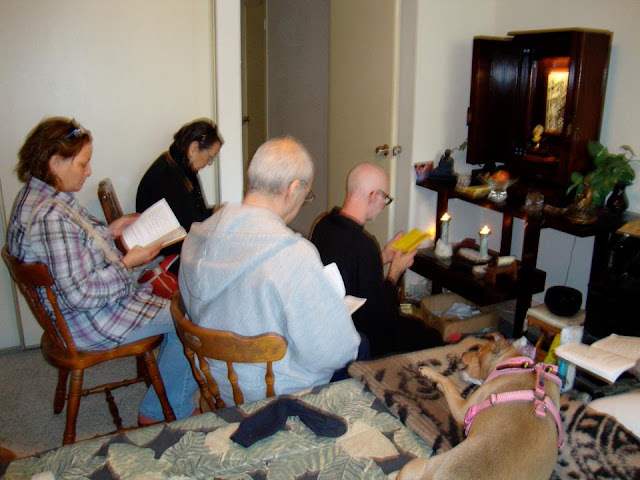 It is comforting to know that I need not rely on corrupt temples, sects or priests for the True practice and I truly know that the Gohonzon is inside us. For us, Bodhisattvas of the Earth, there is no greater joy than to be in the Ceremony in the Air, where we received the True Teaching in the remote distant past and in the present. Dear Mark, and others of true faith, continue to follow your heart, giving your whole life completely to the Law of Life itself! The ensuing sermon on the comparison between the Lotus Sutra and Christianity (Bible) is paraphrased from the Kempon Hokke Journal and was written by Graham Lamont when he was a member. Both the Lotus Sutra and the Bible offers salvation through faith. An essential teaching of Christianity is the concept of the eternal damnation of the non-believers. The Gospel of Mark 9:43 talks of a fire that can not be put out. Thessalonians 1:8-10 describes a deity of fiery vengence and the eternal loss of those who fail to accept Christianity. Mark 16:16 talks about how the baptized will be saved while those who aren't will be condemned. Equally as important, the Bible specifically excludes certain people from salvation, even if they humbly repent. The Gospels according to Mathew 12:31-32, Mark 3:28-30 and Luke 12:10 teach that those who commit the so-called Sin against the Holy Spirit are guilty of an unforgiving sin and may never hope for salvation. In Hebrews 6:4-8/12:17/10:26-30 we see that no one commiting apostacy (abandonment or defection) of the christian faith can ever hope to gain salvation even, as in the case of Esau in the Old Testament(Genesis) who regrets his desision, is forever cast aside. Many modern day christians have attempted to "interpret" these passges in a more compassionate and gentle light using clever words and arguments, but the "inspired" words of the Bible remains for all to see and read for themselves. Also, at the whim of their deity one is either doomed or saved. One who is doomed by this merciless deity is Pharoah(Romans 9:17-18 citing Exodus 9:16. ), Here, the purport of this deity appears to be to demonstrate his sovereign power. Thessalonians 2:11-12 teaches that this god in full awareness makes people believe falsely, in order to condemn them. They are condemned, not temporarily, as a means of teaching or to correct their misguided belief, but rather on a whim to demonstrate his power and to an eternal unremitting hell. Analagously, Romans 9:20-21 states that we should not question the will of god as we are merely clay for the potter. Christianity is so exclusionary! "for many are called, but few are chosen." (Mathew 22:14) Corinthians 9:22 tells the story of Paul of Tarsus. He saves some people but not others and is quite discriminating of who he saves through his many guises. To those saved by Christianity it smells like sweet perfume, to those condemned it smells like raw sewage. Those who meet Jesus and the Christians and by predestination do not believe are only confirming their own ruination(Corinthians 2:15-16). The habitual manifestation of vengence characterizes the Jewish as well as the Christian god. This god acts to cause irrevocable and terrible punishment and the very conclusion of the entire Jewish scripture (Isaiah 66:24) is the revelation of Yahweh(the enemies will be displayed in eternal fire and worms in his antechamber.) Mark 9:48 is the Christian equivalent. These two passages are quite clear on the future of those who either merely just hear the Lotus Sutra or of those who pureheartedly believe. Now, lets turn to those who do not believe. There are passages in the Hokkekyo which teach of the of the terrible punishment of those who fail to believe and of the worst of all the hells, Avici hell, for those who slander the Sutra or the Sutra's adherents. These passages are found in the 3rd Chapter(Parable), the 10th Chapter (Teacher of the Law) and the 20th Chapter (Bodhisattva Never Despise). Despite the superficial similarites to the Christian hell, not even the worst hell (mugen jigoku), Avici, is eternal. True, it is unremitting while in this realm, but one will without doubt reemerge. Therefore, all the Buddhist hells are at worst equivalent to Christian purgatories. Nichiren affirms too, that those who persecute him will fall into the Avici hell but then will become his disciples and attain Buddhahood. Redemption will come to even those who oppose the Lotus Sutra. What a grand and awe inspiring vision the Buddha paints in this, the summit of his fifty years of preaching! These teachings are of sublime significance in the context of the entire Buddhist canon, particularly of the Mahayana. Only the Hokkekyo allows the practitioner to fulfill the first of the Four Great Vows of the Bodhisattva (vows which all Bodhisattvas on their spiritual path have promissed to uphold): "beings are innumerable: I vow to save them all." The Buddhism as taught in the other sutras does not enable the practitioner to realize this vow because all of these sutra exclude, in one way or another, one or another class of beings. Some of these sutras exclude those of the Two Vehicles of Hinayana, others exclude evildoers, others those of incorrigeable disbelief (icchantikas), and others women. Even Amida in the Pure Land Sutras (Muryoju Sutra in particular), the so-called savior of the evil people of our age, excludes slanderers of the Dharma or those who commit the five cardinal sins. The Fugen Sutra, the concluding sutra of the Lotus sutra, affirms that the very subjects of the salvation of the Lotus Sutra are blasphemers and those who commit the five cardinal sins. The Lotus Sutra (and the Hikekyo or Flower of Compassion Sutra)) teaches that it is Shakyamuni Buddha who in a former life vowed to accept the beings rejected by the other Pure Lands of the ten directions declaring, "I alone can save them" (Chapter of the Parable). Christianity, as a religeon that rejects certain sinners, is even more noticeable than those of the provisional sutras of Buddhism, let alone the Lotus Sutra. As seen in the first post above, not only are those who reject Christianity but also those who fall away and even those who utter a single word against the "Holy spirit". not able to achieve salvation but are doomed to eternal damnation. Even though John 3:17 declaresgods intention to save all, the Bible adds an exclusionary clause for unbelievers(John 3:18) which says they are condemned. The "worst case scenario" is a very useful concept in comparing and contrasting Buddhism and Christianity. Therefore, the comparison between the cases of Devedatta and Judas Iscariot is most instructive. Both of these men represent the epitomy of evil, not only in the sense of worldly evil but more importantly, in the sense of spiritual evil. This evil that pits itself against the very root of salvation itself, the very source figure of salvation in their respective traditions (Christ in Christianity and the Buddha in Buddhism). Devedatta attempts to kill the Buddha and corrupts the morals of King Ajatashatru (Buddhism's rough equivalent to Oedipus. He kills his father, marries his mother, and also attempts to kill the Buddha). Devedatta then fakes his repentance while again planning to murder the Buddha. Judas, possessed by the devil, betrays Jesus leading to Jesus crucifixtion and murder. Devedatta, it is taught, ends up falling into a crevice during an earthquake while Judas is said to have either committed suicide or bursted open (Matthew 27:5 Acts 1:17-18). The ensuing spiritual fates of the two are very different, however. Judas is destined from the start to be lost. (John 17:12). He is to be condemned before he even acts, "that it would have been better for him never to have been born" even though he later feels remorse. This concept in Christianity is known as meta-melomei (Mathew 27:3). He is predestined "beforehand he is made to do what he does" (John 13:21-30) and his horrendous fate is declared in Mark 14:21, Luke 22:21-22 and Matthew 26:24-25. Again, using clever and disengenuous reasoning, some Christians state that he is really saved by the famous Biblical prayer of Jesus to forgive those who no not what they are doing (Luke 23:24). This is absurd because Judas knew very well the teaching of Jesus and knew perfectly well what he was doing. As far as Devedatta is concerned. despite his evil and insufferible punishment, we see that Devedatta is promised to attain Supreme Enlightenment as the Tathagata Tenno(Devaraja). Judas is never summoned back in the Christian scriptures and is doomed to hell eternal. Devedatta, the avowed enemy of the Buddha who was well versed in the entire Buddhist Canon (as was Judas in the Christian teachings), and abandoned for more than forty years by every sutra, in the Lotus Sutra, is "summoned back" to become a Buddha. There is a rational concept in the Buddhism, ko itsu rei sho (mentioning one to illustrate all). This is applicable to this WORST case in Buddhism, that of Devedatta. Since Devedatta has attained (or will attain) to Supreme Enlightenment, matricidal and patricidal murderers, blasphemers, unbelievers, etc. will attain to emancipation by the teaching of the Lotus Sutra let alone us ordinary rabble. In the Lotus Sutra, both slander (unbelief) and belief (in Namu myohho renge kyo) both plant the seeds of Buddhahood. A Sutra passage (?) cited by Chan-jan in referring to the unbounded merit of the Lotus Sutra states, "Hearing the Dharma, bringing forth irreverence and contempt and falling into hell are superior to making offerings to Buddhas numbered as the sands of the Ganges." He goes on to state that one may make an offering to a Buddha without so much as hearing a lesser teaching let alone the Hokkekyo but merely having heard this supreme teaching one will surely attain Buddhahood even if one slanders it. Who is most in need of salvation, which being or class of beings: the ones who readily accept and embrace the path to "redemption" or those who resist, refuse, are perverse or refractory? To put it another way, who is more in need of salvation those who are inclined to good or those who are inclined to evil? Which religeon abandons the incorrigeable disbeliever and wrongdoer? Which religeon saves the most worthless, corrupt and cowardly? Which religeon truly "forgives" its worst enemies? "They say that it is as difficult to be born in the realm of human beings as it is to thread a needle by lowering the thread from the heavens, and as rare to see and hear the Buddha’s teachings as it is for a one-eyed turtle to encounter a floating log with a hole just the right size to hold him. Having this in mind and believing that one must regard the body as insignificant and the Law as supreme, the unenlightened man climbed numerous mountains, impelled by his anxiety, going from one temple to another as his feet would carry him. In time he arrived at a rocky cave with green mountains rising sheer behind it. The wind in the pines played a melody of eternity, happiness, true self, and purity, and the emerald stream that bubbled along in front sent its waves striking against the bank with echoes of the perfection of these four virtues. The flowers carpeting the deep valley bloomed with the hue of the true aspect of the Middle Way, and from the plum blossoms just beginning to open in the broad meadow wafted the fragrance of the three thousand realms. Truly it was beyond the power of words to describe, beyond the scope of the mind to imagine. One might have thought it the place where the Four White-Haired Elders of Mount Shang lived, or the site where some ancient Buddha had walked about after meditation. Auspicious clouds rose up at dawn, a mysterious light appeared in the evening. Ah, the mind cannot grasp it nor words set it forth! The unenlightened man wandered about, pondering what was before him, now pausing in thought, now resuming his steps. Suddenly he came upon a sage. Observing his actions, he saw that the sage was reciting the Lotus Sutra; his voice stirred the seeker deeply. Peering in at the quiet window of the sage’s retreat, he found that the sage was resting his elbows on his desk, pondering the sutra’s profound meaning. Many things SGI teaches neither conforms to the text of the scriptures nor to reason. You certainly have generated a lot of interest from the Soka Gakkai; two Vice General Directors, Ian McIlraith and Bill Aiken. I applaud you. Ghandi, King, and Ikeda are all controversial men. I will leave aside Dr. King for the moment. The Dalits [untouchables], the oppressed peoples of India of whom I had contact through the editor of the Dalit Voice, VT Rajshekar, are certainly not impressed with the Mahatma [Ghandi]. Those million people who died in the forced March of 1947 too, would not be impressed. According to the Buddhism of Nichiren Daishonin, good intentions are fraught with unintended consequences when not based on the Lotus Sutra and the teachings of Shakyamuni Buddha (Enlightenment). It was only Shakyamuni Buddha, in the entire history of India, who had the Dalits best interest in mind. Buddha taught that one becomes a Brahmin through virtue, not through birth. Ghandi was too embroiled in the teachings of castism, to have been anything but a pawn of the Brahmanical power brokers. Daisaku Ikeda is a pawn of the power brokers of the Club of Rome and their new world order while the Lotus Sutra teaches that peace and security in this life and a fortunate birth in the next is realized through the One Buddha Vehicle. The socio-political strategies of such men as Ghandi, Ikeda, and King, are doomed to failure. Am I the Dengyo the Great [Saicho] of Mappo? Everyone whether wise or foolish should chant Namu Myoho renge kyo [not Nam Myoho renge kyo]. "And when the two characters for namu are prefixed to Myoho-renge-kyo, or the Lotus Sutra of the Wonderful Law, we have the formula Namu-myoho-renge-kyo." SGI's faulty translation is, "we have the formula Nam-myoho-renge kyo". Since we know that Nichiren never, not even once, wrote Nam-myoho-renge-kyo. we can conclude that SGI's translation of the Opening of the Eyes is faulty and deceptive. So too is their chanting of Nam myoho renge kyo. Even were we to give them some credit for chanting the truncated Daimoku, Nichiren teaches, it is correct faith which is most important and their faith is even more incorrect than their pronunciation of the Mystic Law. Is there any doubt that there is an association between incorrect faith and an incorrect pronunciation of the Daimoku? No, it is a direct correlation. SGI's cloning strategy. What's next, channeling Ikeda? "WADA So when we consider how to actualize the oneness of Master and Disciple in everyday life, we should consider, "If I were Sensei, how would I think about this?" or, "If I were Sensei, what would I do about this?" I think that our taking action that President Ikeda would take is, in one sense to actualize the oneness of master and disciple. TANIGAWA If we truly with to reach this point, we must read President Ikeda's guidance repeatedly. We must get to the point where we can't distinguish between our own speech and action and what we would do if we were the SGI President. It's incorrect for us to put our opinions about how to behave over what we believe President Ikeda would do. It's even worse to act without thinking about what President Ikeda would do. This is not acting as a disciple." -- Seikyo Times, August, 1990, p. 45 in an article entitled "Dialogue and Democracy." Let us start with cause and effect and let us end there too. Let us also talk about change. Let us say we want to cause an effect (goal). I’ll pick an effect. You are a manager of a large and busy restaurant so lets introduce a memorable spaghetti sauce alla bolognese. The goal is a delicious bolognese sauce. For those who don’t know, a bolognese sauce is a garlicky, tomatoey, thick meat sauce with a touch of cream. To make a memorable sauce, first of all we have to start with the finest ingredients: Vine ripened plum tomatoes, fresh garlic, a ground meat mixture of the finest beef and sausage. Fresh mushrooms, peppers, onions. Carrots for sweetness. Fresh picked bay leaves, oregano, rosemary, parsley, kosher salt and fresh ground pepper. Extra virgin olive oil, sweet cream, and the finest cooking wine. A grating of truffles. We saute the garlic in the olive oil till just before it turns brown, then we add the peppers, onions, mushrooms and carrots and in a separate pan we brown the meat in a little olive oil. While the meat is browning we add our spices to the vegetable saute and then, in a minute or two we add the peeled tomatoes and cooking wine. We turn down the heat a bit and add the golden browned meat mixture. We stir the sauce with a wooden spoon every fifteen minutes for the next 6 or 7 hours and add a little more wine and water to achieve a slow reduction. We add the cream and the grated truffle mixture, and continue to stir every fifteen minutes for another hour or two. at the same time we are preparing the home made paste. Boil the water and put the home made pasta in the boiling water for 3 minutes. We drain every drop of water from the pasta, add butter and pour our magnifico sauce over the spaghetti. Finally we add the grated aged cheese, a mixture of parmagiana and Romano cheese from Parma Italy. We pour ourselves a glass of Barolo and we go to town while sopping up the sauce in fresh baked Italian bread. We have made a meal to die for. We have followed the recipe of the masters of Italian cooking. Now I give you another scenario. We take Delmonte stewed tomatoes, garlic salt, a ground meat mixture of possum and raccoon, mushrooms, carrots, onions, etc. that have been lying in the refrigerator for two months, throw it all into liquefied Crisco lard, add Mad Dog Twenty-Twenty a touch of tobasco sauce, and buttermilk and stir for fifteen or twenty minutes. Put it over overcooked Ronzoni Spaghetti and add some grated Velveeta cheese. You call this “Bolognese” sauce. You accompany the meal with white bread and beer that has been opened three days ago. You can not separate the means from the ends when even making a meal. How can you separate the means from the ends when revealing Buddhahood and realizing Kosen Rufu? What the SGI has done to Nichiren Lotus Sutra Buddhism is to make it virtually unrecognizable to the Buddhas, Bodhisattvas and protective deities throughout the universe. Although it contains, tomatoes [SGI twisted Daimoku], meat [rancid SGI Gohonzons], and inferior cheese and spices [SGI doctrines], it is hardly Nichiren Daishonin's recipe. You may call both bolognese sauce [Lotus Sutra Buddhism] but the Buddhas and bodhisattvas can tell the difference. There is no possibility of attaining Buddhahood or Kosen Rufu with a recipe that so dramatically differs from Nichiren Daishonin's. Even were you to add fine ingredients to the slop you created, it would be unfit for human or heavenly consumption. Why is Soka Gakkai Being Allowed to Influence Our Public Schools? 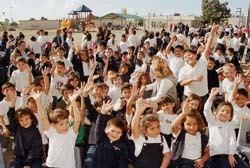 On June 6, SGI President Daisaku Ikeda and his wife, Mrs. Kaneko Ikeda, were appointed honorary principals of Beyer Elementary School in San Ysidro, California, USA, in recognition of their longstanding contributions to the advancement of education, anti-violence, and peace on an international scale, based on the value-creating pedagogy of Soka education. Mr. and Mrs. Ikeda are being lauded as ideal role models, reflecting the school's educational philosophy. On the same day, the school also dedicated a garden, grown and cared for by the students, to educator and first Soka Gakkai president Tsunesaburo Makiguchi (1871-1944)--The Makiguchi California Native Plant Garden--in commemoration of his 130th birthday. Trees were planted in honor of Mr. Makiguchi, Mr. Ikeda, Mahatma Gandhi, Martin Luther King Jr., and Cesar Chavez (1927-1993), founder of the United Farm Workers' Union. San Ysidro is located in the southern-most part of California, next to the U.S.-Mexico border. Attending the ceremony were: Beyer Elementary School Principal Fred Cruz, San Ysidro School Administrator Grace Kojima, Beyer School teacher Josephine Hamada, who proposed the honorary principal appointments, other faculty and students, and SGI-USA General Director Daniel Nagashima, who represented Mr. and Mrs. Ikeda. Beyer Elementary School in San Ysidro, California, plans to establish a "Toda Peace Tree Grove" on the school grounds in memory of Josei Toda, second Soka Gakkai president and mentor to SGI President Daisaku Ikeda. On November 13, a cherry tree planting ceremony was held to commemorate the start of the garden's construction. The dedication is a gesture of appreciation for the goodwill and friendship between Beyer Elementary School and Mr. and Mrs. Ikeda, who were named honorary principals of Beyer in June this year. In August, Mr. Ikeda presented a poem to students in Beyer and donated books to the school library. The SGI contributed cherry trees to San Ysidro and plants to Beyer's Makiguchi California Native Plant Garden, which was established as a tribute to the humanistic pedagogy of educator and first Soka Gakkai president Tsunesaburo Makiguchi. In August 2001, Mr. Ikeda presented a poem to students in Beyer Elementary School in San Ysidro, California, USA, and donated books to the school library, following his and his wife Kaneko Ikeda's appointments as honorary school principals in June 2001. The SGI also contributed cherry trees to San Ysidro and plants to Beyer's native plant garden, which was established as a tribute to the humanistic pedagogy of educator and first Soka Gakkai president Tsunesaburo Makiguchi. The school plans to honor Josei Toda, second Soka Gakkai president and Mr. Ikeda's mentor, by naming a tree grove on the school grounds in his memory. 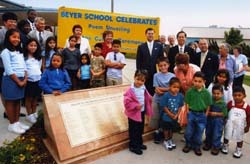 On August 19, Beyer School in San Ysidro, California, USA, unveiled a monument inscribed with a poem SGI President Daisaku Ikeda dedicated to Beyer School students in August 2001. SGI Vice President Hiromasa Ikeda attended the ceremony on behalf of his father, together with Soka Gakkai Vice President Kenji Yoshigo and SGI-USA General Director Daniel Nagashima. 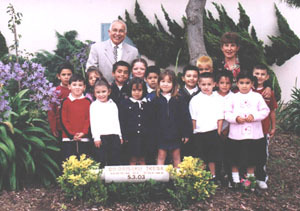 Mr. and Mrs. Ikeda were named honorary principals of the school in 2001. Beyer Elementary School in San Ysidro, California, USA, commemorated the 132nd birth anniversary of educator and first Soka Gakkai president Tsunesaburo Makiguchi. The ceremony also commemorated the second anniversary of the Makiguchi California Native Plant Garden, which was established in June 2001 as a tribute to Mr. Makiguchi's humanistic pedagogy. Principal Fred Cruz, teachers and students of Beyer Elementary School and SGI-USA representatives attended. 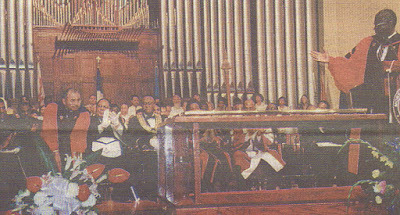 On the occasion, SGI President Daisaku Ikeda and Mrs. Kaneko Ikeda received a commendation from California State Senator Denise Moreno Ducheny, for their "efforts to promote the time-honored principles of nonviolence and community empowerment, while encouraging children and adults to enjoy our region's natural beauty." SGI-USA Senior Vice General Director Richard Sasaki received a certificate, on behalf of the Ikedas, from Ms. Ducheny. SGI-USA Vice General Director Ian McIlraith read the Ikedas' message of appreciation. Uh this getting more and more interesting. Great passages from the Gosho by the way. Jim, I hope you do not doubt my position aginst NS. What realy gets me going is actually not Nikken, but the people who follow him, even though their number declines. It may sound a bit sadistic but 'picture this...' (thats from Golden Girls), if i chant for him (which I do not do on a regular basis)I wonder how that might make him realy furious, I guess in his mind he does not need any Daimoku anyway. The enemies are all around us the worst are the ones from within I guess. In the end this IS mappo, the latter days of the law, personally I do not feel any contradiction between showing compassion and taking a stand. Are there any more people out there who have real first hand experience with NS. I fell the whole issue is most important, as here SGI can clearly state what it stands for. In this HQ here we have studied the priesthood issue very thoroughly - to me it IS clear that NS do represent the absolute evil. It is up to us to keep the teaching pure. Nonsense. The Q'uran is flush with violence. There are no words, not one word in the Lotus Sutra, that exhorts believers to kill, not even to kill a mole cricket. Believe in the Lotus Sutra and peace will become real. The religion based on the Lotus Sutra is the true religion of peace. Whose foundation, SGI's or Nichiren's? "Probably no one could ever come close to repeating what I have accomplished." (World Tribune, September 26, 1997, p. 11). After this message was leaked by a concerned SGI member, SGI spin-creeps tried to put the blame squarely on the headquarters chief who sent it. However, this is simply just another directive of many in which SGI tells the membership to use prayers like a voodoo spell, and to take physical action against Buddhists who are simply exercising their basic right of freedom of religion. I finally got to go to the Culture Center again. It was such fun. They had a little play called Spiritually Incorrect. They gave us a good laugh about the situation as kind of a kick off to ask for 1 billion daimoku to close all the temples. Everyone was excited by it. I plan on filling up several cards of chant time. Has anyone heard about the latest chanting goal for SGI members? Subject: Re: 10 Billion Daimoku. SGI has set a daimoku goal to close NST Temples? If it works..can we have them ? chanting to close their temples down. I certainly don't want a Nikken temple in my area. I have no problem with people who practice with other Nichiren sects, the only problem I have is when they single out situations they may have had with individuals and blame it on the whole organization, or when they spread tabloid stories around about President Ikeda that aren't true. But daimoku is daimoku no matter who chants and if your chanting for something that is not good, it will come back and smack you in the face. In the past, I have addressed the question of Nikken's harmful activities, and his destructive and denigrating behavior towards others. Today however, I would like to focus on the importance of how, praying for Nikken's removal, our life is purified and our enlightened aspect elevated; how, as a consequence, we experience unparalleled advancement in our lives. For reasons I will enlarge on in my talk, I beseech you all to chant passionately and with a most fervent prayer, for the removal of Nikken . Since Nikken severed relations with the SGI, many people with a strong and consistent practice have spoken of a heavy cloud over their hearts and difficulty in focusing their prayers. One elderly woman told me she simply cannot shake loose her feelings of heaviness, and never feels refreshed from her practice, even though she practices strongly. This is the effect of Nikken's devilish function*. I, myself, broke through the dark clouds over my heart and experienced feelings of liberation and limitless joy in my life after becoming involved in the activity of bringing temple members back to the Daishonin's Buddhism. In the Gosho, it is written: " To refute evil is a great good. To refute good is a great evil". This passage explains why there is no choice other than to challenge Nikken and consequently, what he represents. President Ikeda, who more than anyone demonstrates the application of this fighting spirit, has said: "To fight against supreme evil represents supreme good". 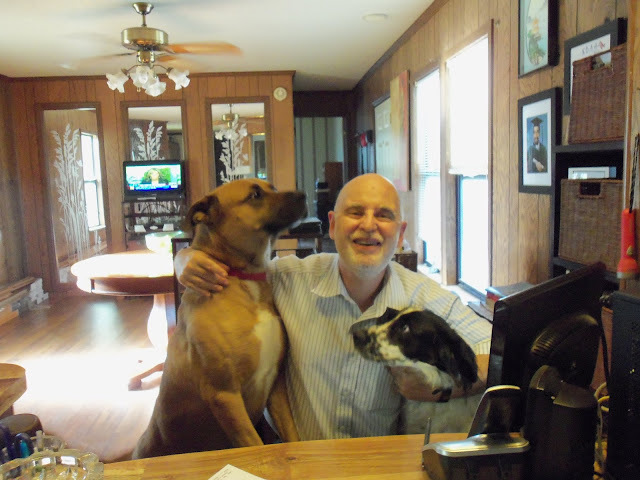 A woman's husband, who doesn't practice, was diagnosed with stage four cancer in the lymph nodes of his neck. He was given one week to live. Upon hearing the guidance I have described, his wife went home and, immediately, at midnight, began to chant. Her prayer was single- mindedly for the defeat of Nikken, coupled with her deep desire that her husband recover. After two hours, she experienced a deep awakening. She felt a profound sense of appreciation to have been born at such a momentous and determining time in the history of Buddhism, and in the context of the future of mankind. She understood, on the one hand, the defining nature of Daisaku Ikeda as a disciple of Nichiren and a great bodhisattva, and, on the other hand, that Nikken's function is that of the devil of the sixth heaven. She perceived clearly what a golden age this is, and how she, as a bodhisattva living at this time, could actively influence the outcome of the battle between good and evil, which would affect the future of mankind for eternity**. With this realization, the woman's joy was so intense, that she chanted from midnight until eight in the morning without any sense of time passing. During this time, her husband, who was hospitalized, experienced major convulsions, and vomited quantities of blood. His doctor, alarmed by this deterioration in the man's condition, concluded that he wouldn't last the day. However, despite these circumstances, he conducted tests, which yielded totally unexpected results, whereupon he called the man's wife, and told her to disregard what he had said previously about her husband having only one week to live. The fact is he said, "There is no trace of cancer cells to be found in his body". This experience is a tremendous testimonial to the power and focus of this woman's passionate prayer and her unflinching determination. It is typical of many such experiences. Here is another experience from a man in Hokkaido. His business was selling racehorses. Unfortunately, with the recession being so severe, unable to sell a single horse, and drowning in debt, he found himself on the brink of bankruptcy. A leader came to encourage him. The leader told the man of this specific prayer with which he could overcome his current crisis, despite the reality of a severe recession. He encouraged the man to pray fervently to defeat Nikken and to participate whole-heartedly in the movement to bring back temple members. The man replied: "I live in Hokkaido and Nikken lives in Taiseki-Ji. I have never had contact with him personally and certainly never been mistreated by him, so I fail to see the relevance of this". It was the leader's unshakeable confidence, however, which finally convinced him to take action and follow this guidance. Immediately, without hesitating, he began to chant aggressively to defeat Nikken. In a short time he had sold three horses from which he made a profit of $200,000. He continued selling horses accumulating a total profit in excess of $1,000,000. Feeling such tremendous appreciation at this remarkable turn in events and how much his life had opened, he expended huge efforts and successfully promoted 27 new Soka Gakkai journal subscriptions, thereby fulfilling his debt of gratitude. In conclusion, many of you are doubtless wondering why it is that such dramatic results can come about from impassioned prayer, to defeat Nikken. 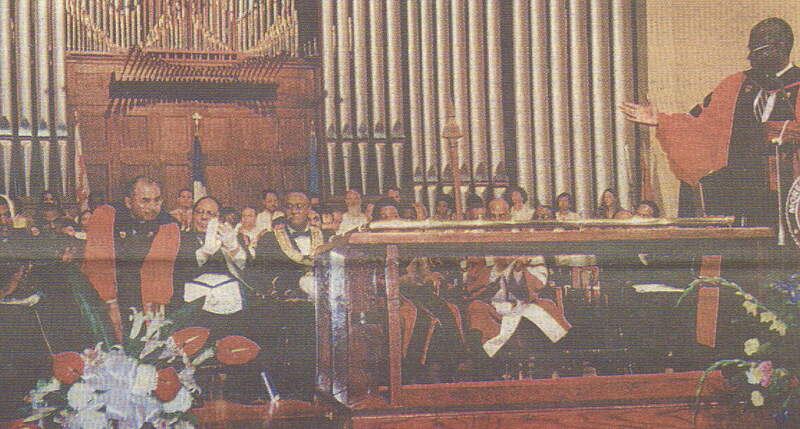 It is as President Ikeda has said: "Fighting supreme evil creates supreme good". In other words, amongst our global community upon this entity we call Earth, a cancer called Nikken is proliferating. Before this cancer erupted, most of our prayers had been based on our individual desires. However, with the onset of this cancer, the metabolism of our planet has undergone change. The collusion of corrupt priests with government authorities, to destroy the activities of bodhisattvas has precipitated the three calamities and the seven disasters, exactly as the Gosho describes. This has become the reality of our times. 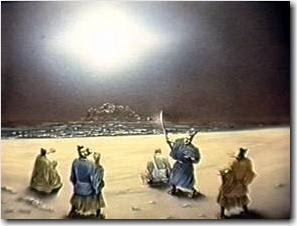 It is demonstrably clear that the earth's energy field and our environment have undergone radical disruption since Nikken revealed his true identity as the devil of the sixth heaven, specifically when he severed the relationship with the entire body of the SGI, and propounded that he alone is the portal through which people may access enlightenment. Whereas our prayers, until now, have been motivated generally by our personal wishes, in this critical time, it is of crucial importance that we stand up for justice through our prayer and actions, to eradicate this most powerful enemy intent on destroying Buddhism.